China has for many years suffered from serious air pollution. 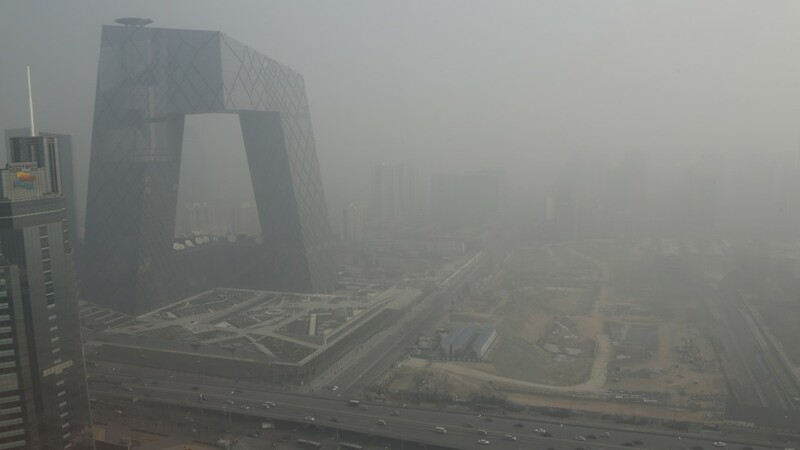 Primary sources of pollutants include exhaust emission from Beijing's more than five million motor vehicles, coal burning in neighbouring regions, dust storms from the north and local construction dust. A particularly severe smog engulfed the city for weeks in early 2013, elevating public awareness to unprecedented levels and prompting the government to roll out emergency measures. The capital’s air quality index hit 500 – the highest level for air pollution. Children and the elderly should stay indoors, with all outdoor activities kept to a minimum, the municipal environmental protection bureau said. According to the report in 2017, the city’s air pollution had improved with concentrations of PM2.5 pollutants – those most harmful to human health – dropping by 21.8% in the first 10 months to 69.7 micrograms per cubic metre. But that is still nearly seven times the World Health Organisation’s recommended safe level. How to deal with these thorny air pollution issues? Is there any way for policy makers to get the real-time data and inspect several cities at the same time? How to involve the public in the process of simulating and controlling air pollution? AiR is an Augmented Reality application for air quality representation and simulation. We chose three megacities - Beijing, London and New York as case studies. 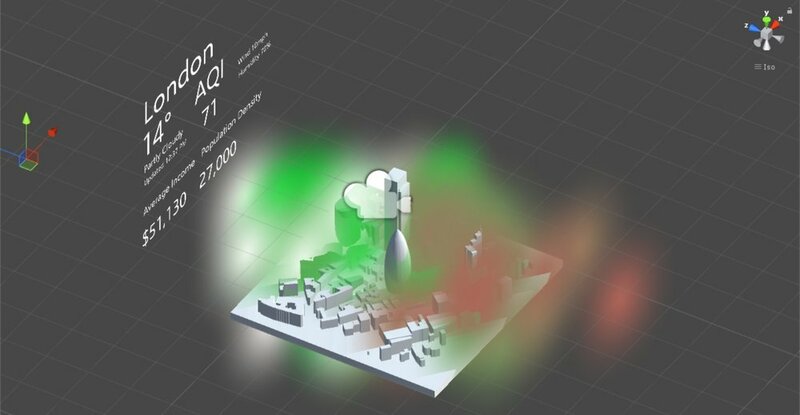 Then we used Unity3D to simulate air pollution based on related data sets. With the addition of real-time index of the cities including temperature, weather, AQI (Air Quality Index), humidity, wind speed, average income and population density, the demo gave the audience an interactive and comprehensive experience of this topic. In the future, we will try to connect with and get support from related authorities to accquire real-time air quality data. Also, we hope to involve the general public in the sensing process through open source platform. By visualizing the data on mobile apps, maps, websites, GIS and Hololens; social influencers, scientists and citizens can join together to tackle the long-standing problem.